For you Sunday morning early birds, have some good old muck raking while the Sunday Long Read bakes. Today, more than ever before, there is a higher demand for accountability, transparency, and efficiency in government. […] Elect a certified public accountant. Elect a former auditor from the Office of the State Auditor. Elect a candidate with over 10 years governmental accounting and finance experience. One would hope that a former auditor with OSA would better understand the implications of a county employee shooting a campaign ad in a county owned office and using property of the office to which he seeks election. One would think someone making claims of accountability and transparency would make all efforts to avoid any appearance of impropriety. 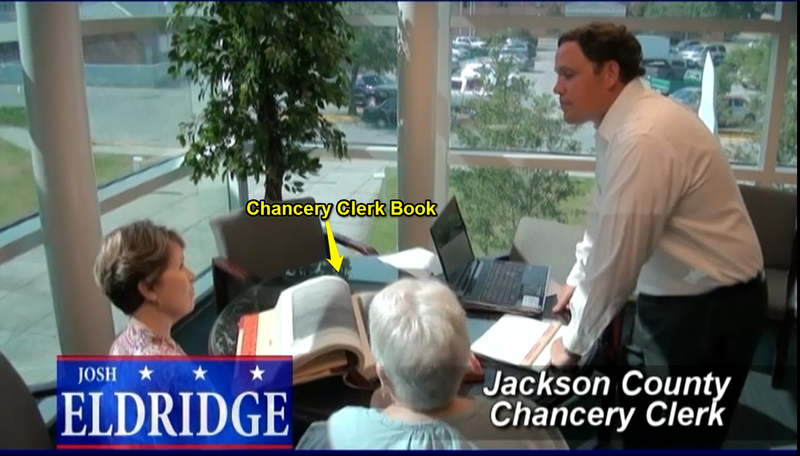 Tags: Jackson County Comptroller Josh Eldridge. His mug shot on the John McKay organized DMR fishing trips was enough for most to not support his attempt to move up the political food chain. Then you add this to his signature on multiple letters promising to have the SRHS and other county owned entities audited and you have an individual who does not deserve a single vote in Jackson County. Why, with all of the experience his campaign brochure says he has,did he not review the SRHS financials on behalf of the JCBOS? He is unelectable in my opinion and should resign or be fired from the position he currently holds. He has not looked out for the people of Jackson County but instead has been playing patsy with the supervisors between fishing trips. The amazing thing to me is that the present Chancery Clerk, Terry Miller, has been totally excluded from the SRHS debate. I can hear Mr. Miller stating, “I am the county auditor!” Where has Mr. Miller been in the process of the SRHS going into the financial condition down the tube???? Unlike my mother and aunt,I bet you Terry Miller will not have to worry about getting his pension checks each month starting next year. Yes,it would be very interesting to know what cases Josh Eldridge worked while employed at the Ms.Auditors office.Which entities did he audit? Did he call and sign up for the Pickering “Friends and Family” program after getting caught on the DMR fishing trips? Did he sign up Terry Miller and John McKay also? These DMR fishing buddies still have some explaining to do about the investigation into those DMR fishing trips. Who shut it down? We know Josh Eldridge has friends in high places at Stacey Pickering’s office.